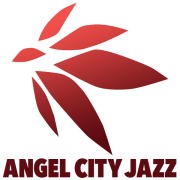 The Angel City Jazz Festival is produced by Angel City Arts (ACA), a music presenting non-profit organization committed to cultivating and revitalizing jazz culture in Los Angeles. ACA presents regular live concerts by established and emerging music innovators who have achieved exceptionally high levels of musicianship and brought forward a significant contribution to the evolution of jazz and improvised music. The Angel City Jazz Festival, now in its 11th year, was founded by Cryptogramophone's head Jeff Gauthier and long time promoter/club owner Rocco Somazzi in 2008 and has been presenting some of the most exciting jazz musicians working today, including Pharoah Sanders, Archie Shepp, Roscoe Mitchell, Wadada Leo Smith, Bill Frisell, John Scofield, Tigran Hamasyan, Ravi Coltrane, Greg Osby, Dave Holland, Vijay Iyer, Dave Douglas, Bennie Maupin, Arthur Blythe, Don Byron, Elliott Sharp, Satoko Fujii, Larry Goldings, Theo Bleckmann, Wayne Horvitz, Kneebody, Nels Cline, Tim Berne, Henry Grimes, Lukas Ligeti, Larry Karush, Allison Miller, Myra Melford, Mark Dresser and many more. Would you recommend Angel City Arts?